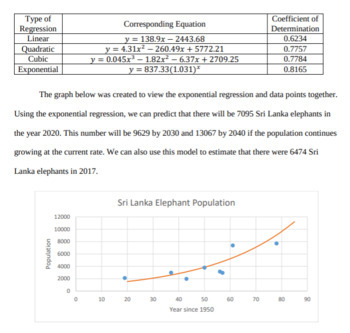 This project allows students to choose a topic to explore by collecting data and analyzing regressions to make predictions about future outcomes. I used it while teaching exponential functions in Algebra 2, but it can be modified to be taught in many different courses at varying points. This project is easily combined with other content areas. 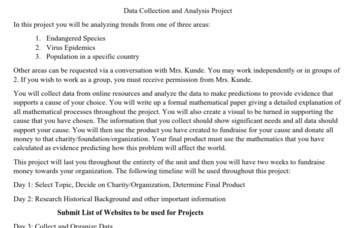 In fact, the Human Geography teacher, Biology teacher and English teachers are all creating extensions to my project to use in their course as a larger cross curricular project for the students. 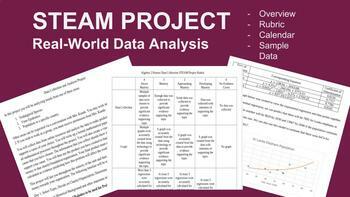 This bundle is complete with the project overview, calendar, rubric and sample paper to be used as students write their own papers.